Finding a House on the Internet:step 2 | House Unseen. Life Unscripted. A few days ago, I started a series called Finding a House on the Internet. Here is the second installment (for any of you who've been holding your breath, sorry it took so long! ), all about the schoolin'. And even if you won't ever have kids, you should still read it. If I remember correctly, we left off with a stern prohibition against you looking at homes outside of your price range, and with you pretending to listen and then still looking at homes outside your price range. Quit that this instant! By this time, you should have a short list of houses not-next-door to the gas station or across the street from the sewage treatment plant, and whose kitchen windows don't look directly into your neighbor's bathroom windows. For each of these houses that are starting to show promise, you must check on the reputation and rating of the local public schools even if you are not planning on using them. 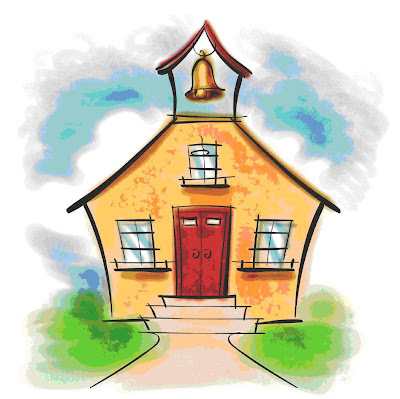 A good school district will be better for your resale value and may help to ensure that your neighbors value education. Not a guarantee by any means, but it surely won't hurt. A few national sites to use for this research include GreatSchools, SchoolDigger, and Public School Review. Once you've looked at national rankings and read the reviews, it's time find the individual district web-sites (google is your friend!). Read the teacher bios and the letter from the superintendent. See what's on the calendar of events. Google the names of the individual schools and the names of the principals. Maybe you’ll start to be able to envision yourself in that environment. Or maybe not. Whichever one it is, trust your instincts. After all that reading, it's time to look at practical schoolish matters such as distance from house to schools (ideally short, but not too short) and distance from schools to nearest liquor store (ideally long). "Why" you ask "should the distance from the house to the school be short but not too short?" Excellent question! Short so that kids (yours or the children of your future buyers) can get to school quickly, or even walk if needed, but not too short or you'll have an obscene amount of traffic, including buses, passing in front of your house at least 2, but probably 4, times per day (if you have never been stuck in school drop-off or pick-up traffic, trust me: you. do. not. want. to. live. there!) Virtually drive the route using google street view or google earth. How many major intersections will you have to go through? Are there sidewalks? How much traffic is in the streetview? I don't know how much of any of these is ideal for you, I'm just saying you should know before you leap. As for the liquor stores, I'll let you extrapolate on your own. Once you've whittled the list down even further, get on facebook or twitter or your email and ask your friends if they have any friends who live there. You will be shocked at how small this world is! Make their acquaintance and ask them questions. Don't be shy. You are about to BUY A HOUSE OFF THE INTERNET, for the love of Pete. Now is not the time to be timid! Plus, most people really do love to help other people and they will happily answer questions from a friend-of-a-friend. They might even offer to drive by the house for you (yes, this really happened to me. Complete stranger. So kind!) to "check things out". You'll never know if you don't try, so put yourself and your questions out there. If you have no friends (make some!) or have never heard of facebook (get on there! ), you can also join one of the bazillion regional and national forums, chock full of people (like me. As in, literally me) living wherever it is you want to live who are just tooooo excited to tell you every thing there is to know about where they live. Trust me, we loooooove it when people want to hear what we've got to say, especially if you start with "We are thinking of buying this house sight-unseen...."
I'm enjoying this series immensely! List, here I come. Oh, I almost forgot about quit looking for houses out of my price range. Glad you brought that up again!! The idea of where your house should be from a school is really a great one! Omg! So far I've done everything right! Yay! This is great info, thanks! I read the step of this post and I really agree with all the guides and tips you are sharing to us about this topic. Great and useful info, thank you for sharing it! As long as people live in houses and there are real estate agents who want presentable houses to sell, your cleaning business will always have real estate cleaning jobs. After a home is foreclosed on, sometimes the previous owners leave the house in a mess. Banks and real estate agents can't present these houses to new buyers if they are not clean. They will hire a crew to make the house presentable quickly. Rental agents need your services too. New home builders need cleaning services. Thanks.